This used to be a bikers pub, but since Wadworth's took it over it has become a mecca in the local area for real ale. It is the old Hurn railway station and still has a carriage on tracks next door as a restaurant. There are two bars, but about three 'rooms/areas' including a place for children. Decor is low beamed ceilings and lots of wood. Tables and chairs are dark wood, some set into partitioned areas where couples can be alone. Walls have the obligatory memorabilia of trains. Real ales are good and there were about 8 on all together including Wadworth's; 6X, IPA, Farmer's Glory, Ringwood Old Thumper, Gales HSB, Highgate Old Ale, Cottage Golden Arrow, Woodforde's Norfolk Nog. Food is comprehensive; scampi, steak, chicken dishes and a few for vegetarians. 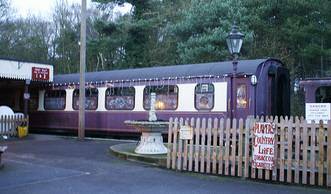 Bar food can be had in the pub but there is a restaurant in the railway carriage outside for more interesting fayre. This is the Orient Restaurant, a unique dining facility developed in an elegant Pullman coach beautifully refurbished in the style of the Orient Express. It stands alongside the Inn on the original Hurt station platform. 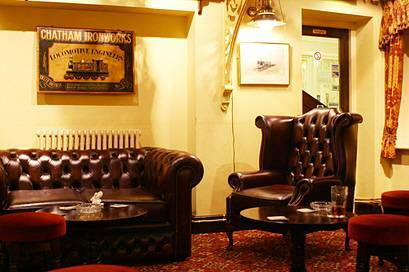 It is the venue for the very popular "Murder Mystery Evenings". Piped music within the pub, especially in the summer, can get a little nauseating, but it is open all day. There is also a no-smoking area. On Tuesday they have jazz nights and people turn up from all over (plenty of parking). It also hosts murder mystery weekends, but you must book in advance. Disabled access is good, except to the restaurant which requires steps. There is accommodation here and it is spacious and well heated. Double en-suite costs £50. 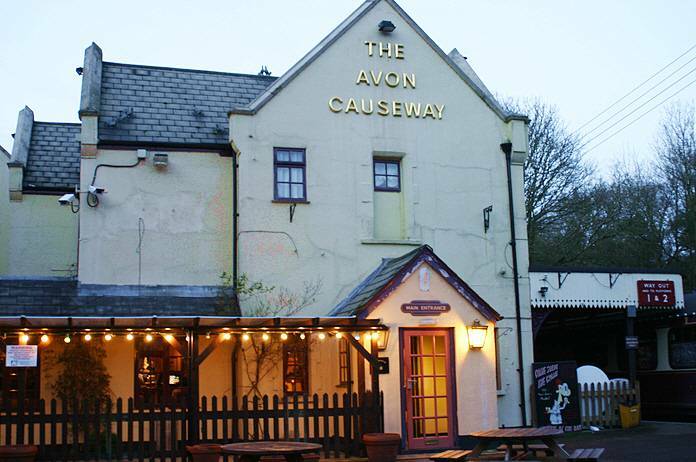 The Avon Causeway Inn stands in the heritage part of the Hampshire Avon Valley between the New Forest and Ringwood Forest and yet is only ten minutes from Bournemouth and five minutes from the airport. 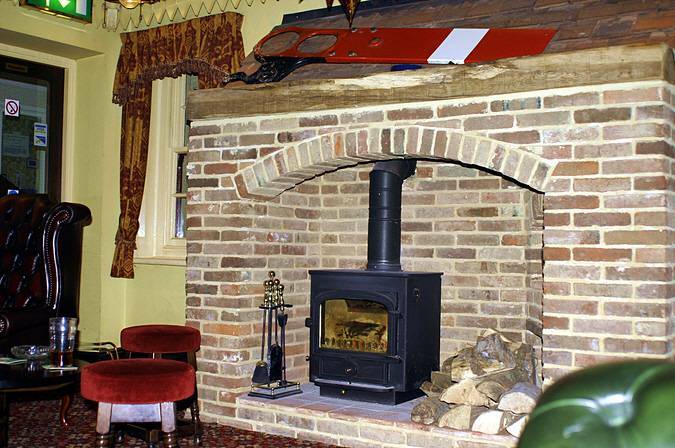 The Inn has been developed on the site of Hum Station which was part of the 1870's Bournemouth to Ringwood railway and many railway mementoes remain. It is ideally situated to take advantage of the country pursuits available in the Forest and Avon Valley and the sailing, beaches, shops and theatres in Bournemouth and Poole. up to 6 guest ales.